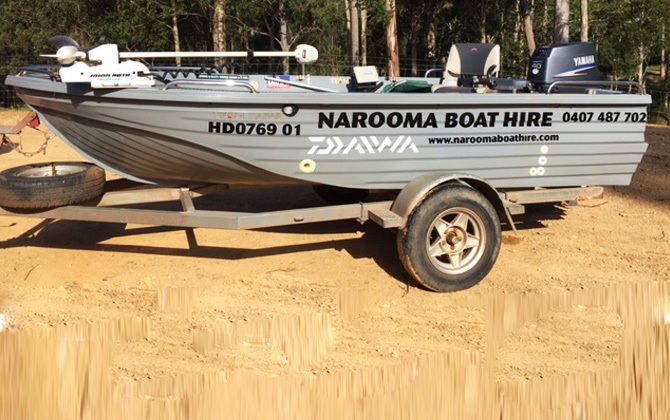 Narooma boat hire. Have the freedom of being able to explore or fish any of our local estuaries or waterways. All safety gear available. Optional Daiwa fishing gear available for hire. View our boat hire booking page. One of the boats for hire in Narooma.